If you've been following this blog you'll know I went to see some musical theatre last week rather than go and look at a roof box. In fact I went the next morning, prior to a weekend's camping and jamming in the woods near historic Bury St Edmunds. I duly bought the box and headed for home. I was about to turn on the radio, my chosen CD having been refused by the in-car entertainment system, when I was treated to the song of the roof box. Sweeter even than those ancient sirens who charmed Odysseus. Mind you, they had to compete for attention with the Aegean Sea: the A140 is easier to upstage. Factors including wind direction and speed of travel made for an enjoyable ride back listening to the roof-bars and box run through the harmonic series. And in case you're wondering if I've lost the plot, others have enthused unbidden. It was my best motoring experience since Classic FM used birdsong as a test signal back in the 1990s. Had I known the roof-box vendor was throwing in an aeolian harp I may have forced another tenner on him. Well it's nearly time for a new game. August's Game of the Month will have a seaside flavour, although it can be played anywhere. Look out for it from Saturday. Meanwhile it's not too late to check out the July offering at http://www.playwithsound.com/music-game.html Called Limelight you may find it useful if you are faced with a disparate band of would-be musicians at a workshop or play-scheme this summer. 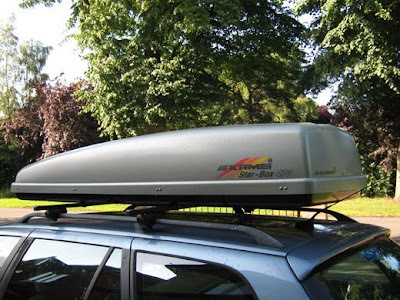 ooooh, I need a roof box. Going camping this weekend and it would be really useful! I found mine on Gumtree - that local internet free-to-advertise site. There must be one for your area. Fantastic blog! I actually love how it's simple on my eyes as well as the data is well written. I am wondering how I may be notified whenever a new post has been made. I have subscribed to your rss feed which really should do the trick! Have a nice day! 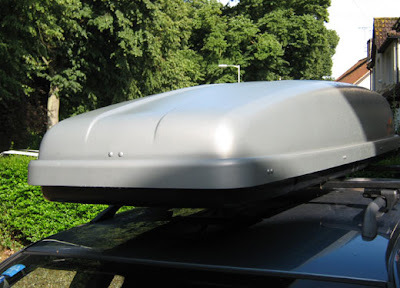 Hi Roofbox - Thank you very much! I hope the RSS feed works. I haven't posted for a while but should be back in the swing of things soon. Your post have everything that is obtained complete and really useful. This post is very good. Thank you for presenting an informative post. What is an ocean drum? available from Amazon. No equipment or specialist knowledge required. No quizzes and culturally non-specific. Composer, musician, workshop leader, peripatetic woodwind teacher and one time classroom music teacher. 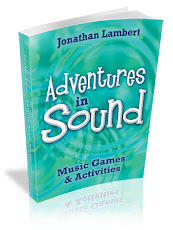 I am the author of 'Adventures in Sound - Music Games and Activities'.